I’ve often thought it would be great to travel back to the 1920s. All those glamorous cocktail parties! Flapper dresses! Racy new dances! Men in dapper suits! Sneaking into speakeasies past midnight! It’d be absolutely copacetic! At least, that’s what history’s rose-tinted glasses would have you believe. And yet the 1920s were also when Prohibition kicked in and the Wall Street crash led to the Great Depression. Maybe it’s best to revisit the past via a cocktail book instead; it’s cheaper, and doesn’t rely on having a time machine, for a start. 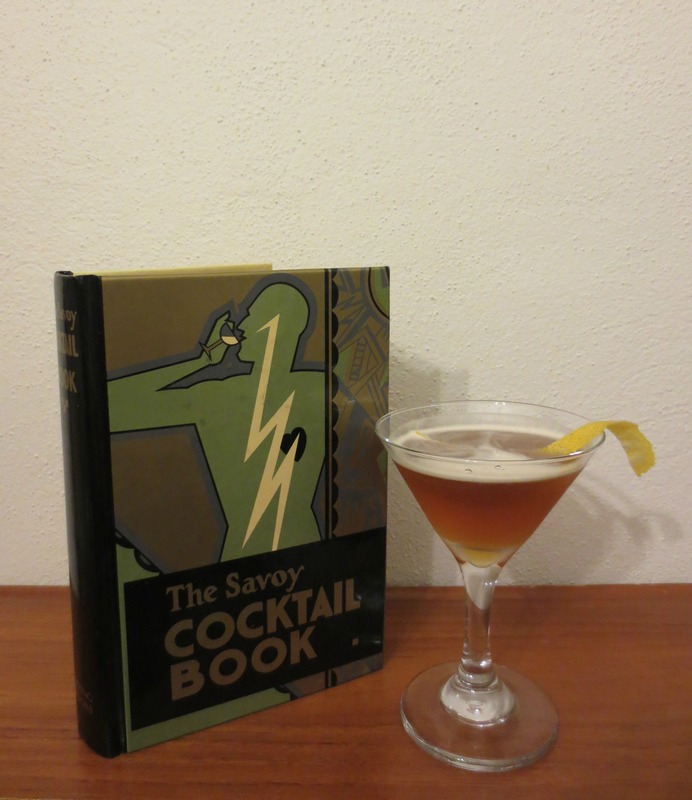 Plus, it gives me a great excuse to show off one of my best-ever op shop finds: a copy of The Savoy Cocktail Book, bought for $2 in near-mint condition and now very much a prized possession. I’ve read so much about this book in other cocktail books, and now that I have a copy (and did I mention it was only $2?) I can see why. It’s beautifully illustrated, many of the recipes are classics that bars are still serving today (though I do wonder about some of the measurements, as some recipes call for ‘a glass of gin’), and the writing is refreshing and lively, just as a good cocktail should be. In short, if you ever see a copy, BUY IT – especially if it’s only $2 – and let it transport you to another era. Now that Angostura Orange Bitters are stocked at most Dan Murphy’s stores, this one’s a doozy.